Risa Dye is an enthusiastic, creative, and experienced educator. She is a professionally trained in physical theatre from Jacques Lecoq’s International School of Theatre in Paris, France. 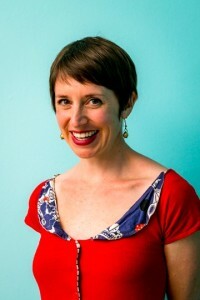 She has performed with professional and amateur companies around the Bay area as storyteller, puppeteer, and dancer. She is an accomplished costume designer, and designed costumes for award winning Theater of Yugen in San Francisco from 2008-2012. She makes most of her own clothes and can always be found crafting something new. Risa started formally teaching in 2003. 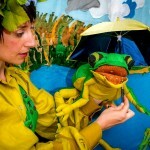 She has been trained in puppetry, creative movement, improvisational theater and early childhood education. 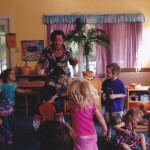 She is now primarily a teaching artist and children’s entertainer. Risa believes that developing creativity, play and imagination in young learners can change their world and ours.